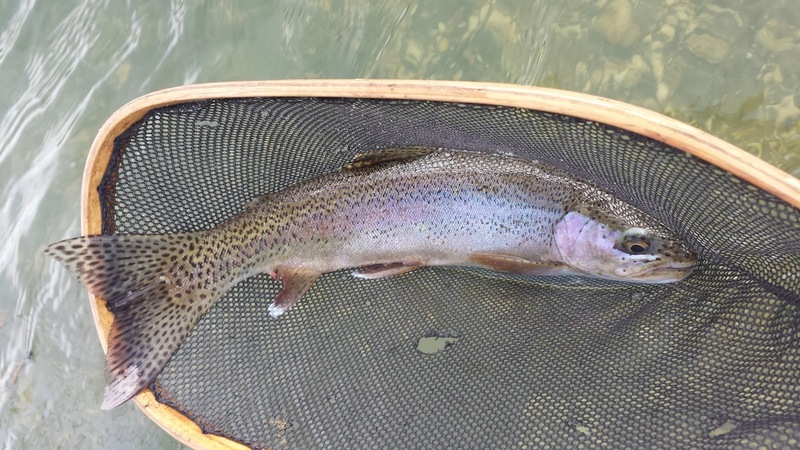 Who would have thought that a simple afternoon of fly fishing would become a close encounter to danger? 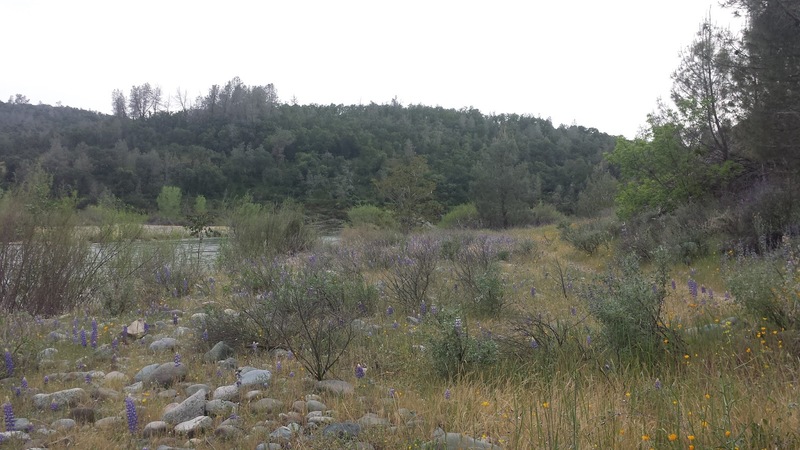 Today I took some time to check out the Yuba River. 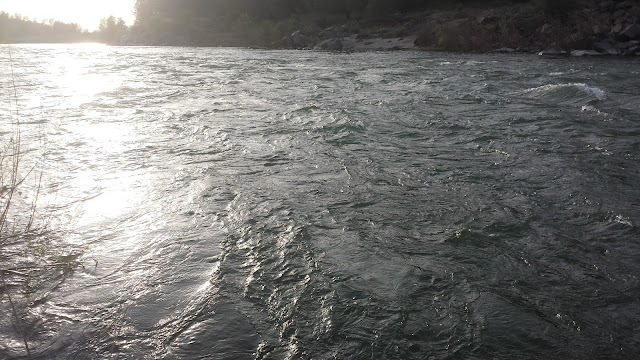 The river is currently sitting at 2,900 CFS which is twice the regular flow at this time of year. The river is clear and looks great but the flows made it very difficult to find fish. 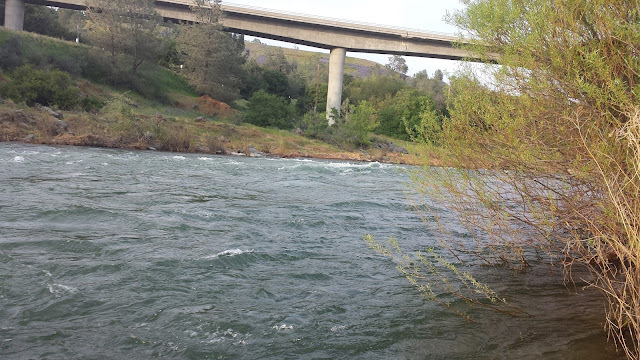 The last storm event in March that blew out the Yuba at 25,000 CFS has changed many parts of the river. Although it is a bit hard to read right now with the current flows, there have been changes to some contours of the river, primarily the banks. Many of the runs that I've enjoyed fishing before the big storm have turned into deep holes and many of the deep holes that I've never fished have turned into runs. It will probably take some time before the fish acclimatize to these new areas therefore fishing will probably be tough for a while. Time to learn the Yuba all over again. As I was hiking upstream to my next spot about a mile above HWY 20 bridge I heard something rustling in the willows. For some reason I thought it was a turkey but I took a few seconds check out my surroundings. Oh crap.... a deer carcass. I made myself big, grabbed a good stick, began making noise, and started to back out. No thank you. Well that was an interesting experience. Every fly angler probably experiences a mountain lion at least once in their lifetime though right? How about thugs? Keep safe out there and don't leave valuables in your car.